In addition to enjoying a wide selection of online poker games, real money players at PalaPoker.com also have the opportunity to spin our Million Dollar Slot every day absolutely free. Sign-up for PalaPoker.com and you will only be minutes away from trying your luck at becoming New Jersey’s next millionaire. 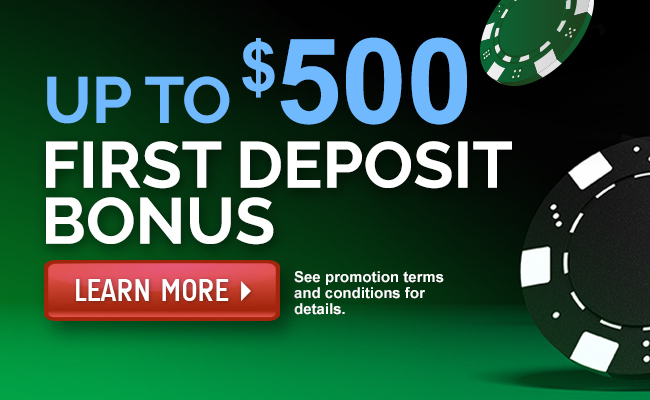 If having a Free Daily Spin for the chance to win $1,000,000 isn’t enough of a sign up bonus, you will also receive a $40 Welcome Package and a 100% Match Bonus on your first deposit. 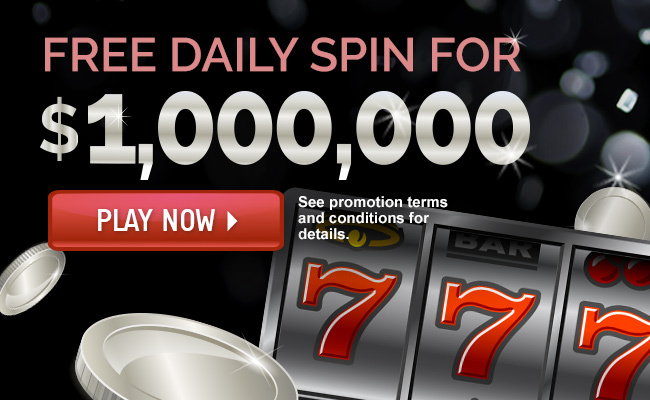 PROMOTION PERIOD: The PalaCasino.com Free Daily Spin for $1,000,000 Promotion (the “Promotion”) begins on May 15th, 2017 at 12:00 a.m. Eastern Time (“ET”) and ends December 31, 2019 at 11:59:59 p.m. ET (the “Promotion Period”). ELIGIBILITY: The Promotion is open to individuals who are physically located in New Jersey at the time of entry and at the time of any Promotion play. Participants must be 21 years of age or older at the time of entry and at the time of any Promotion play. Participants must have a valid PalaPoker.com, PalaCasino.com or PalaBingoUSA.com account (an “Account”) to enter the Promotion. To register for an Account, visit PalaPoker.com, PalaCasino.com or PalaBingoUSA.com (the “Websites”). Promotion is not open to employees, officers, or directors, or to members of the immediate family or household of any employee, officer, or director of Pala Interactive LLC (“Sponsor”) or SCA Promotions, Inc. (“SCA”), or any of their parents, subsidiaries, affiliates, dealers, retailers, resellers, or any advertising or promotion agencies involved in this Promotion. Promotion is subject to all applicable laws. Void where prohibited. Participants who spin the Promotion promotional device for the first time following Account registration will be exempt from any Account deposit requirements in order to be eligible for the Grand Prize (as defined below). For all spins following the initial spin, participants must have deposited at least USD $50.00 into their Account during the last 30 days and have at least a $10 cash balance. Participants do not need to spend their Account cash balance at the Website in order to be eligible to win the Grand Prize. By entering the Promotion, participants accept and agree to comply with and abide by these Official Rules and the decisions of Sponsor and SCA, which shall be final and binding in all respects. 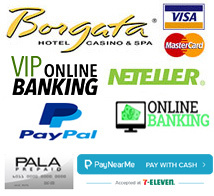 Participation in the Promotion is also governed by the PalaPoker.com, PalaCasino.com and PalaBingoUSA.com Terms and Conditions (the “Terms”) which are located at www.PalaCasino.com and www.PalaBingoUSA.com. By entering the Promotion, participants accept and agree to comply with and abide by the Terms. The Terms are hereby incorporated in their entirety into these Official Rules by reference. In case of a conflict between the Terms and the Official Rules, the Official Rules shall govern. Participation in this Promotion does not constitute participation in any other promotion, contest or sweepstakes conducted by Sponsor or SCA. Multiple Secondary Prizes are available and will be awarded in the form of PalaCasino.com Bonus Dollars (“Bonus Dollars”) which may be used on the Website (the “Secondary Prizes”). These Bonus Dollars will be awarded in denominations of $1. 00, $5.00, $25.00, $100.00 and $1,000.00. Bonus Dollars cannot be used on any website other than the Website. 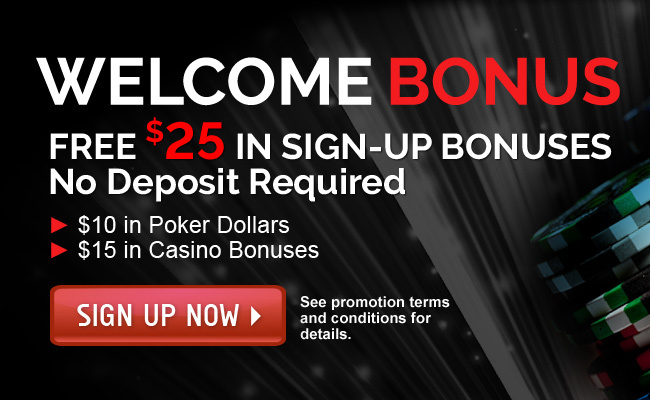 Bonus Dollars must be played twenty (20) times on the Website before a participant is allowed to cash out the Bonus Dollars from the Website.